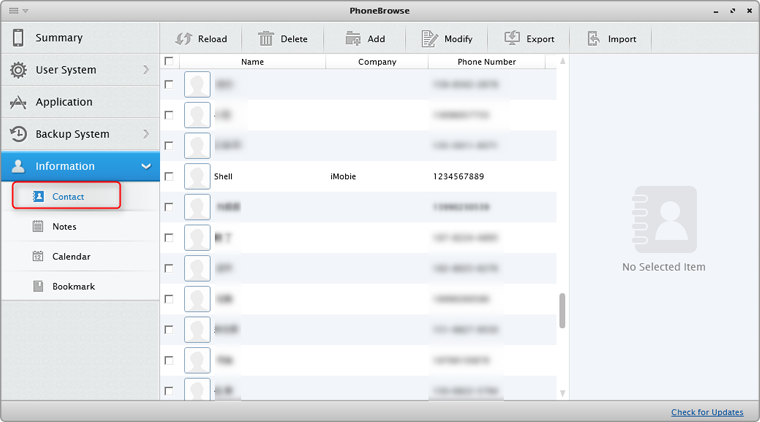 PhoneBrowse supports to browse and manage contacts on your iOS device. Step 1: Please connect your iOS device to computer and open PhoneBrowse. 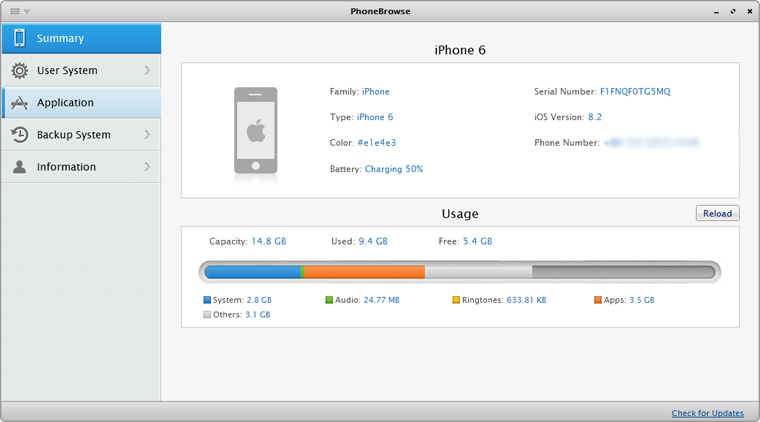 Then, you can see the main interface. Step 2: Please click “Information” button and choose Contact icon. 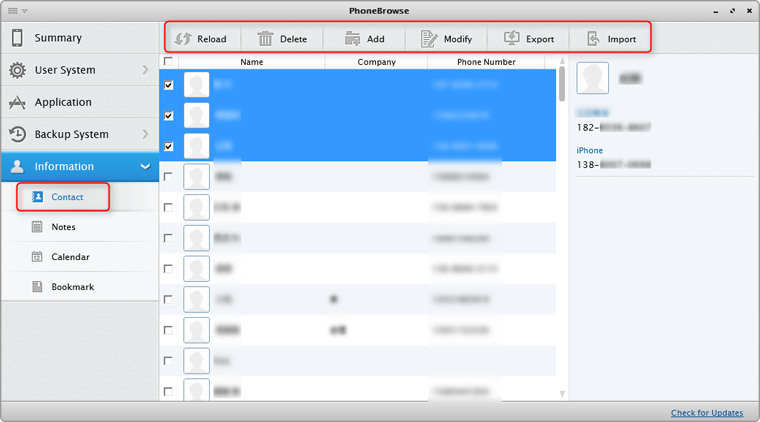 Step 3: It avails to delete, add, modify, and export contacts to computer and import new contacts to device.